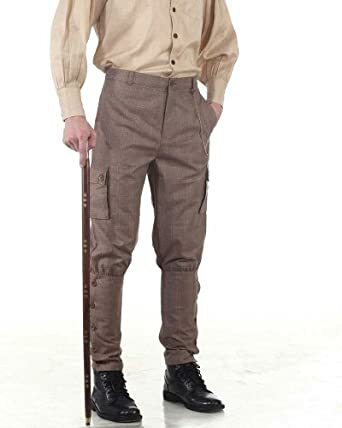 There are many directions to take with your Steampunk fashion costume. 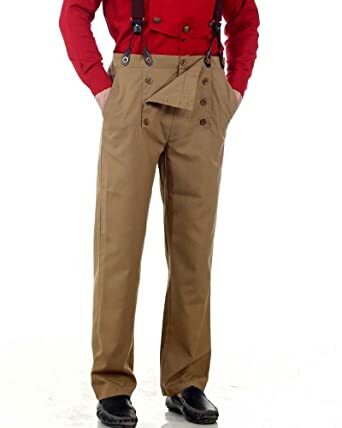 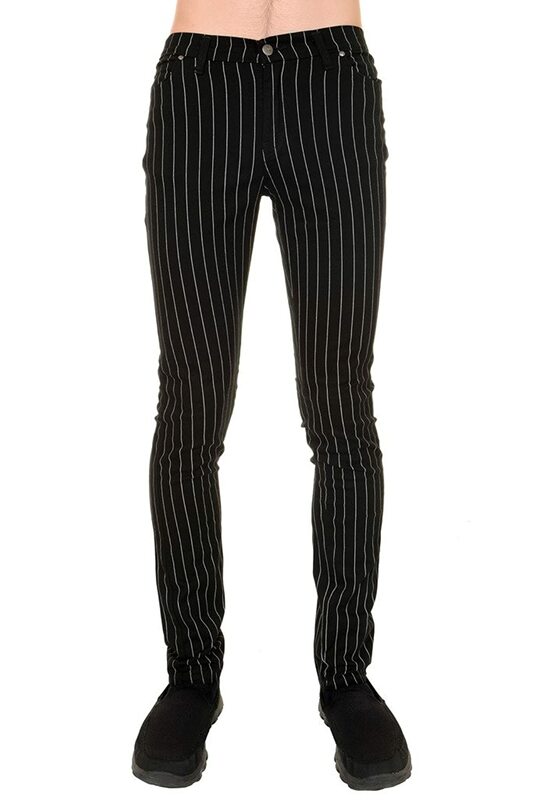 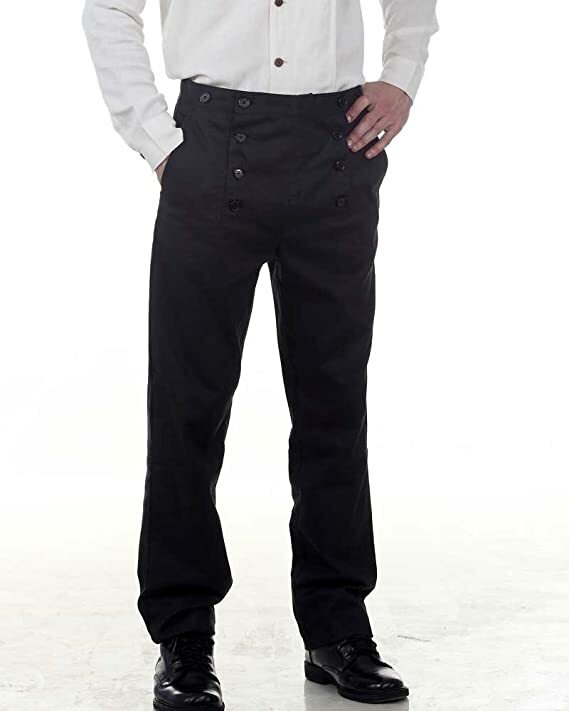 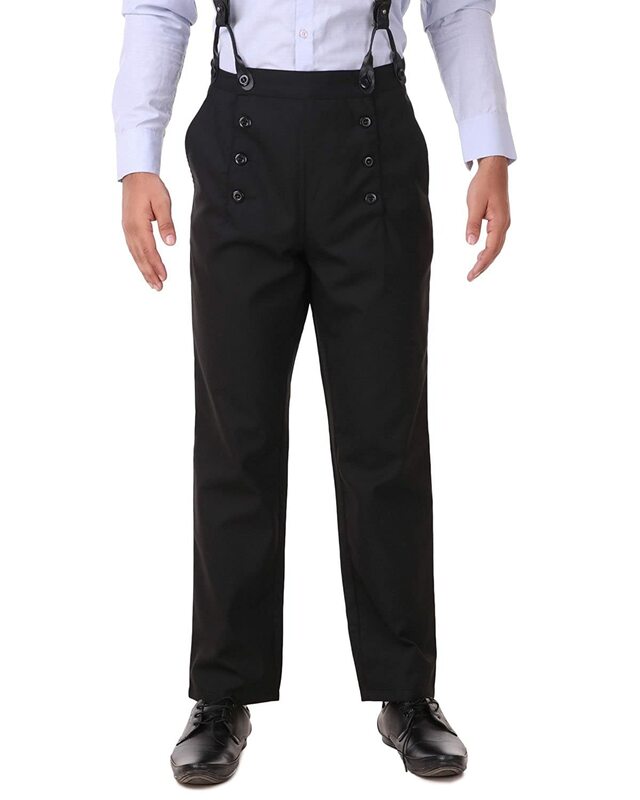 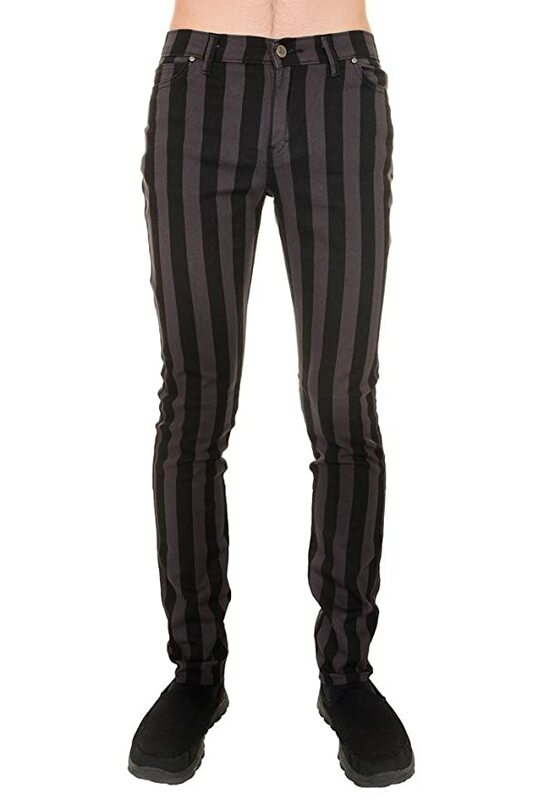 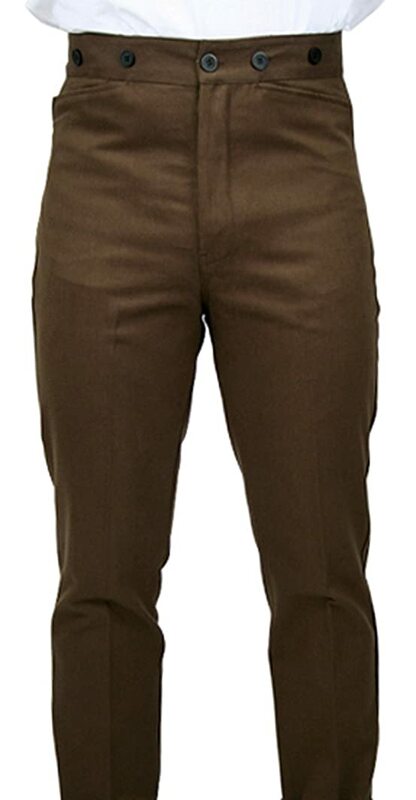 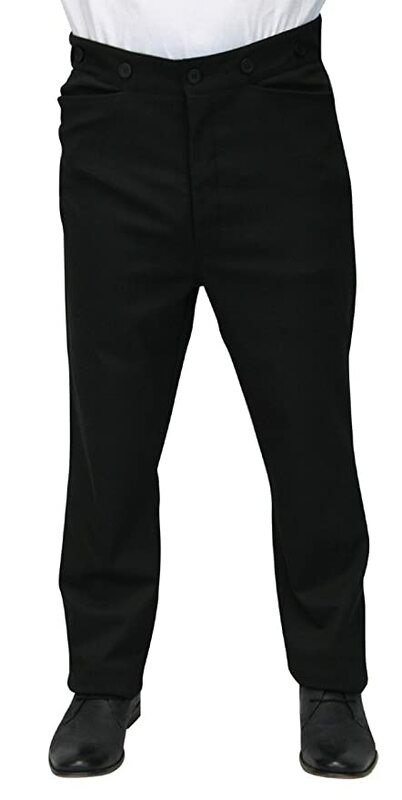 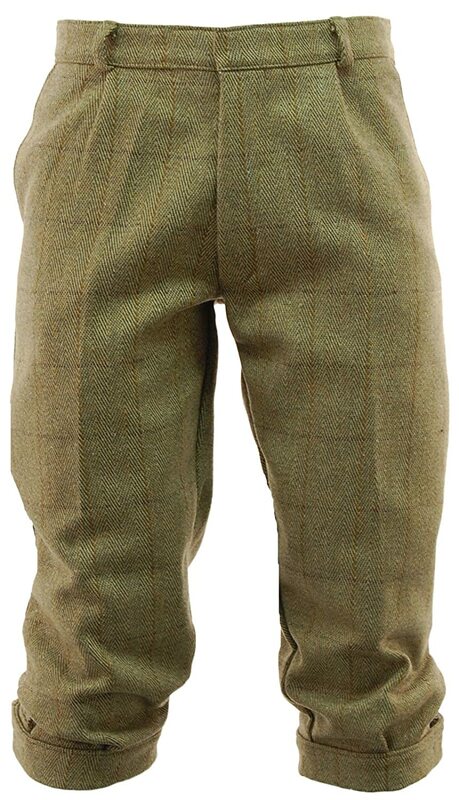 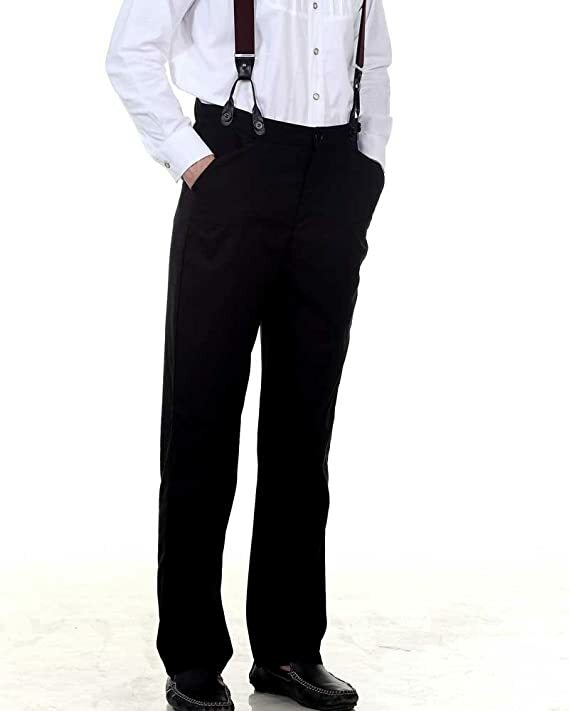 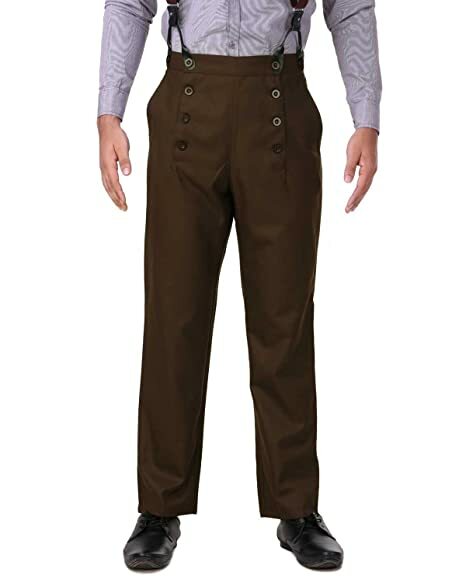 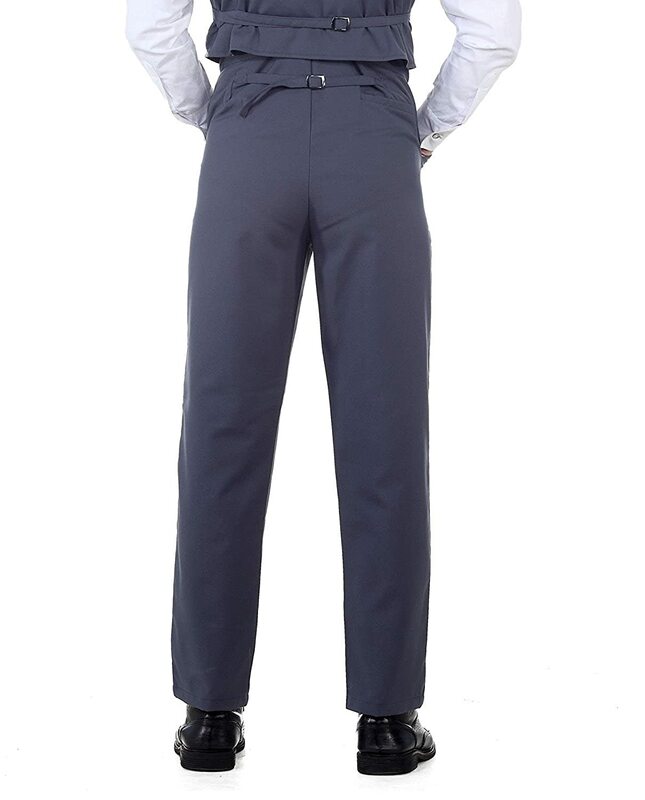 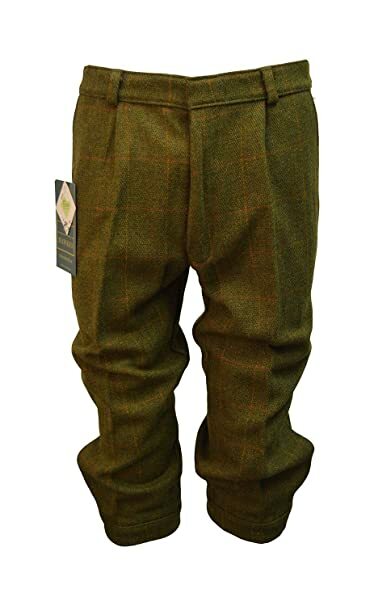 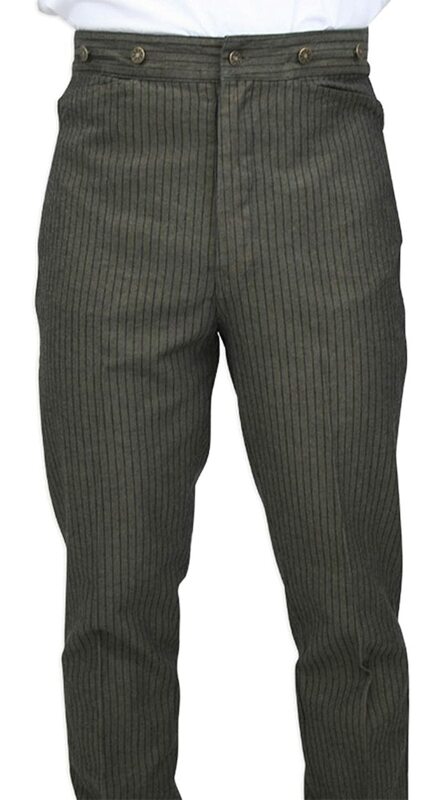 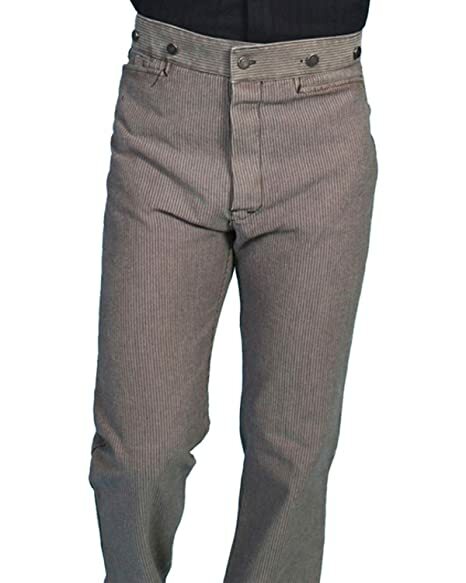 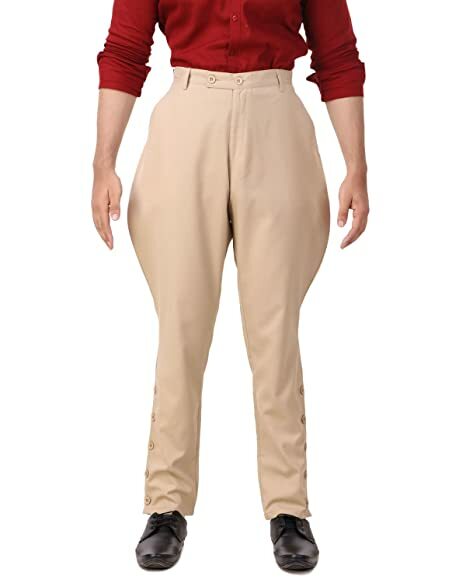 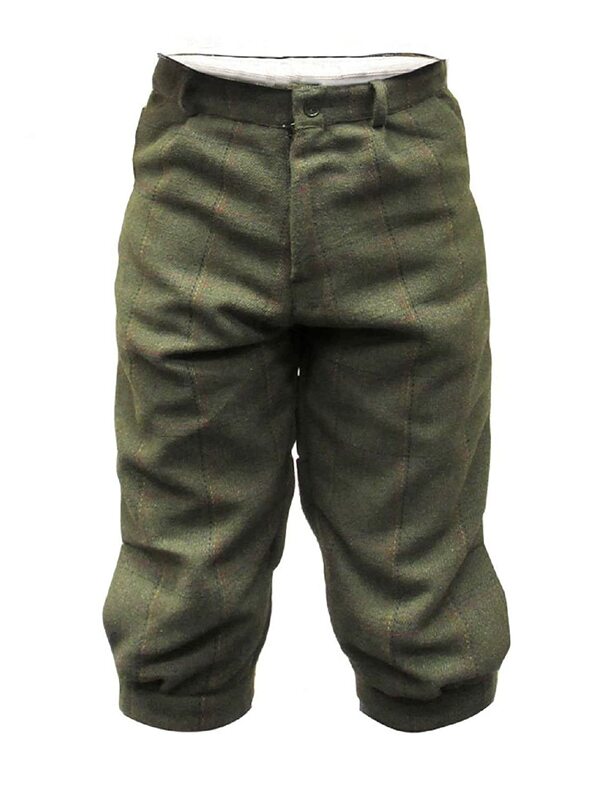 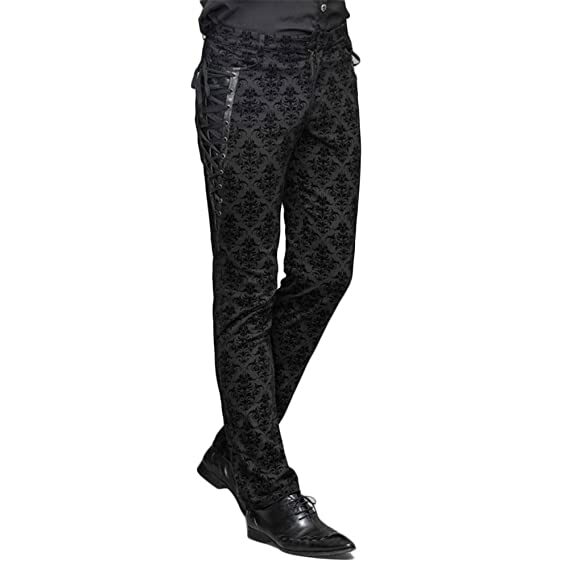 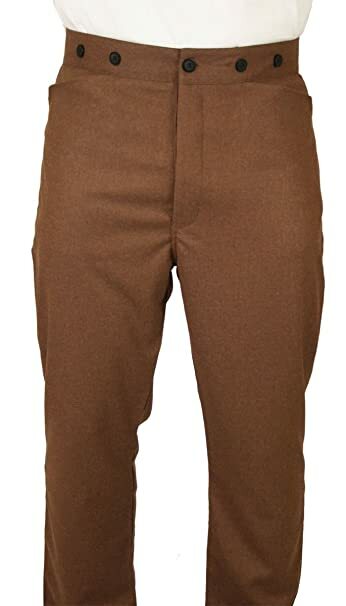 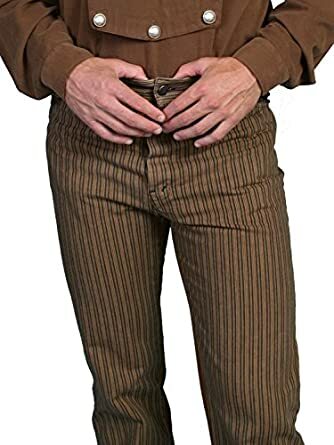 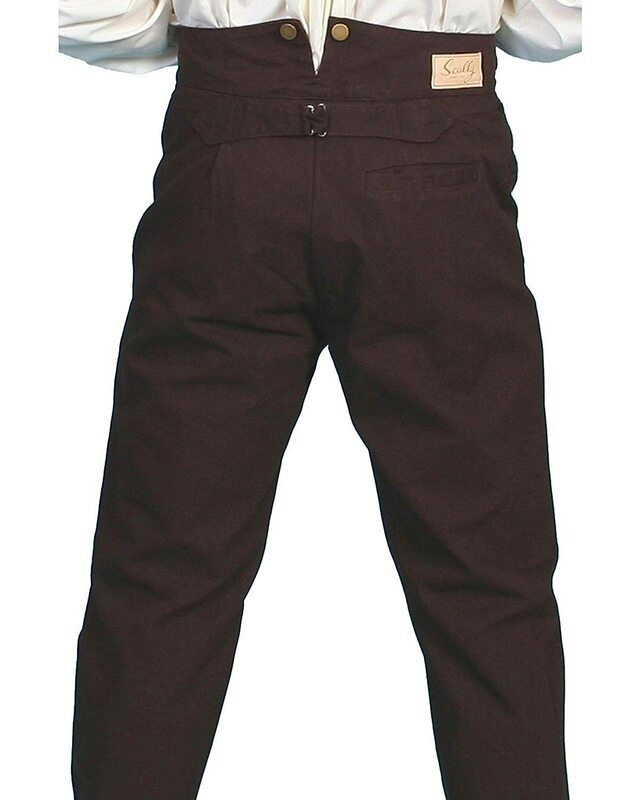 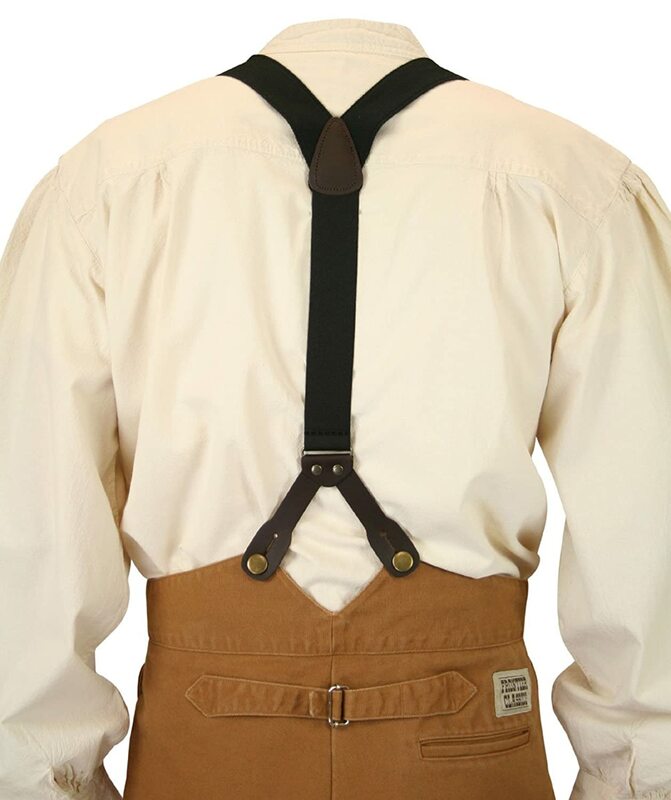 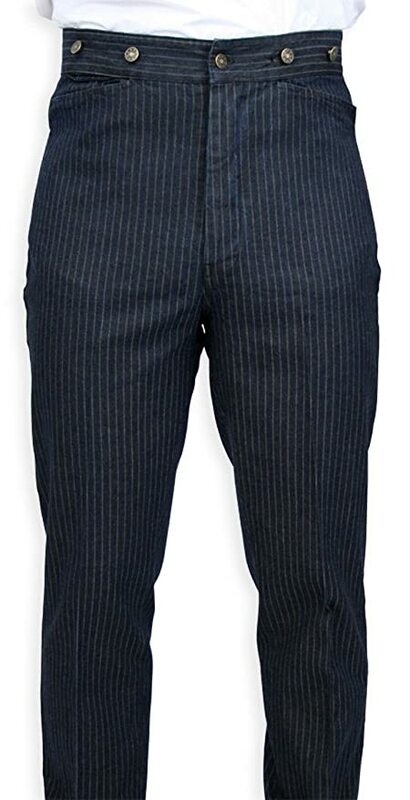 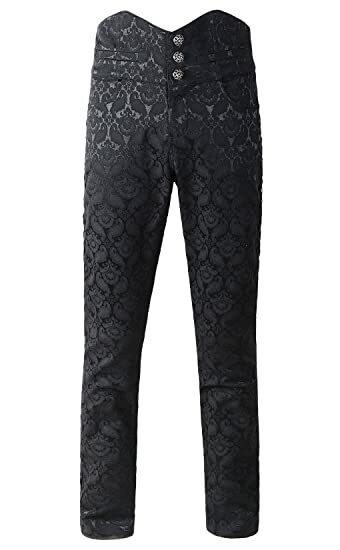 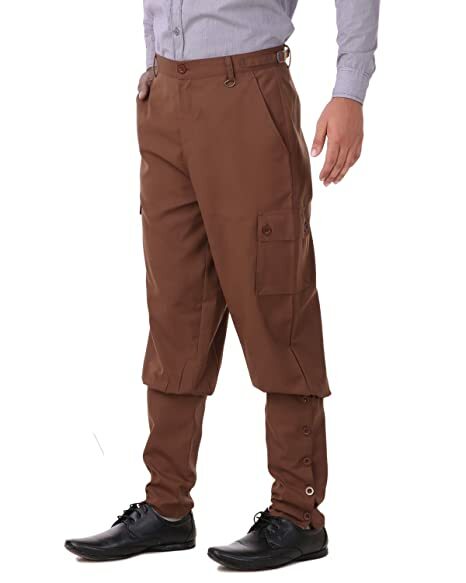 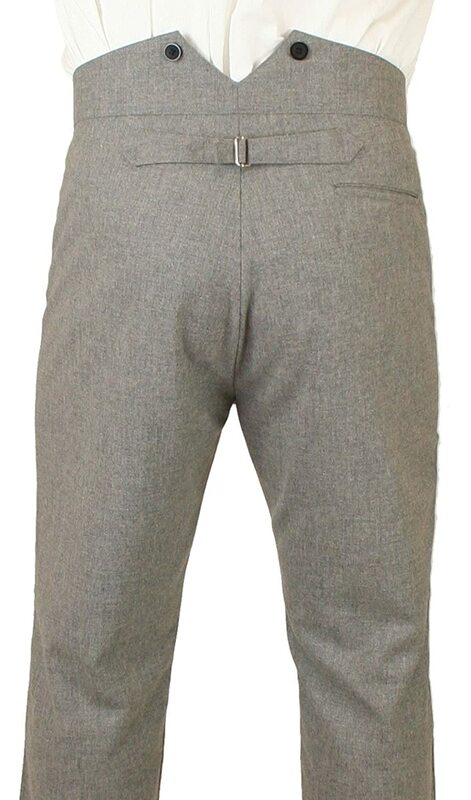 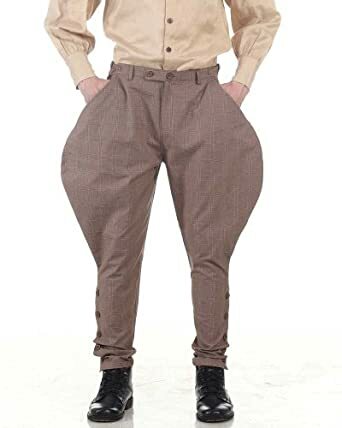 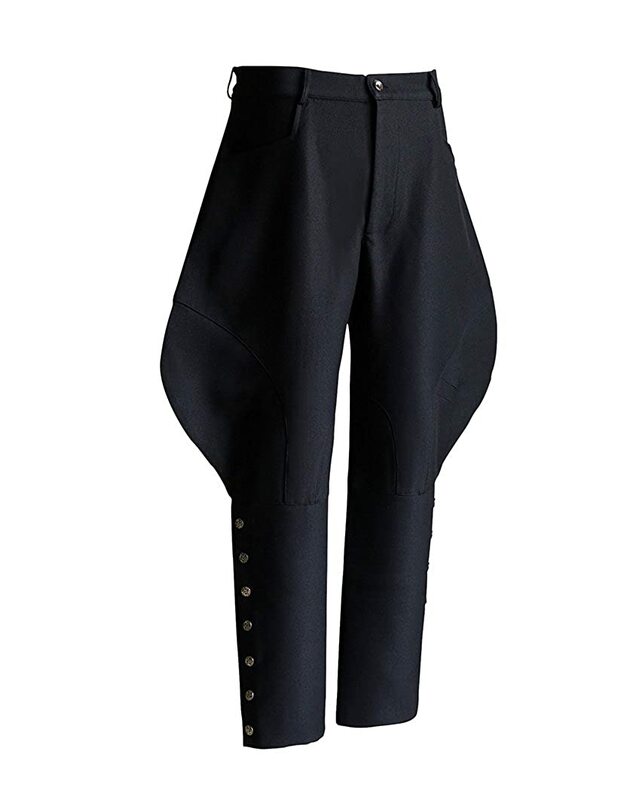 Classic Victorian gentlemen’s costumes would wear high waist pants in dark colors or thin stripes. 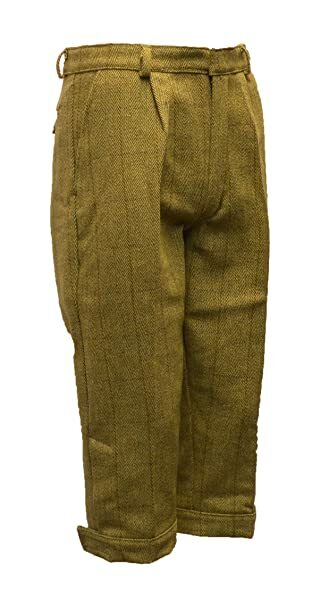 Casual Victorian Steamers may opt for short knickers or plus fours (which also can be made from any long pair of trousers.) 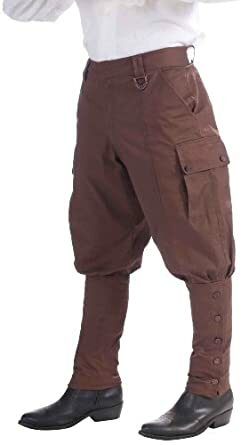 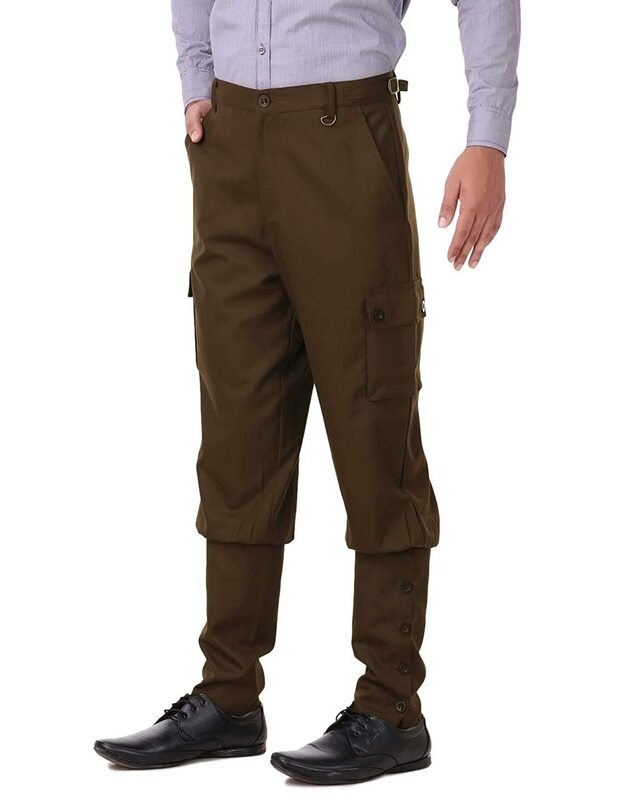 Military Diselpunk styles utilize the cargo pant. 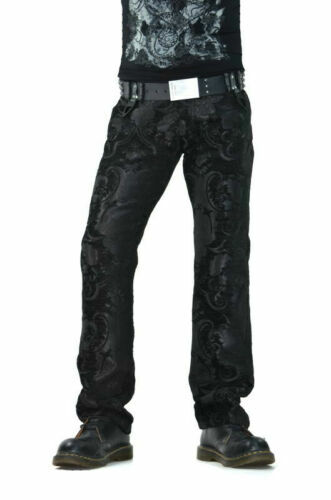 Ripped up leather pants seem to be the latest trend. 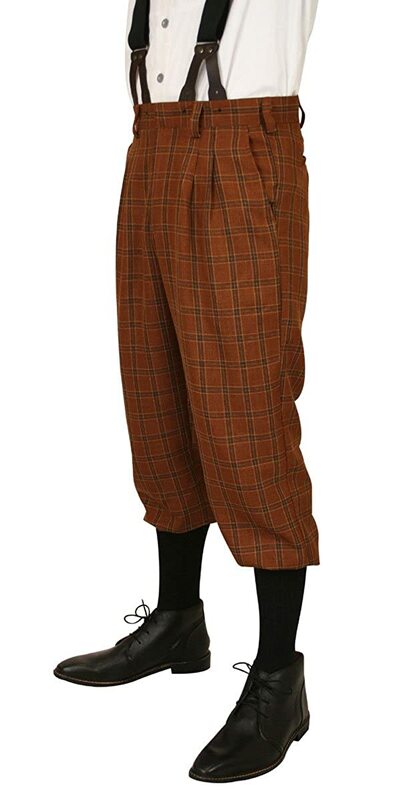 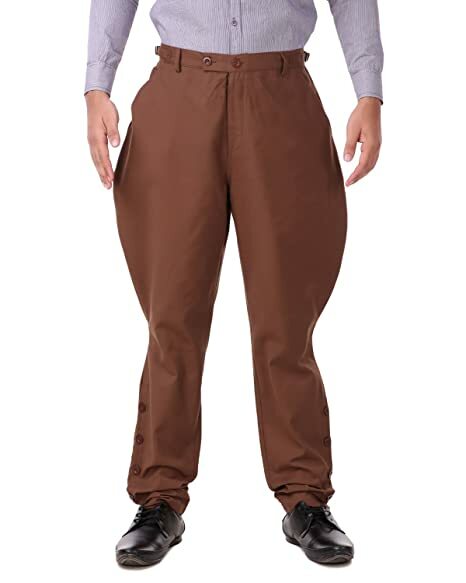 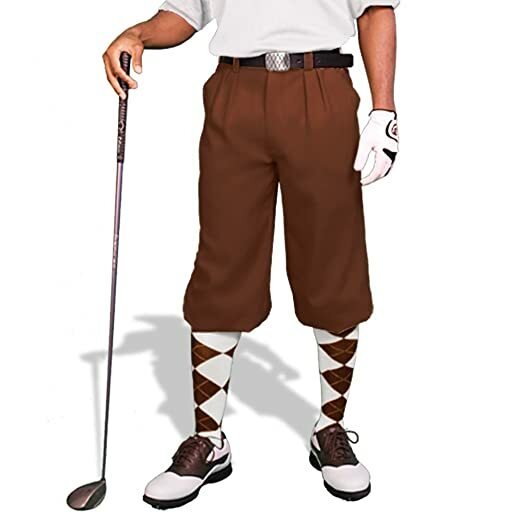 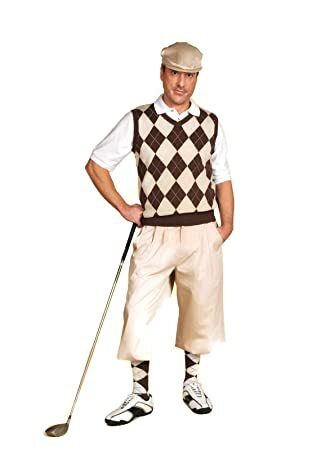 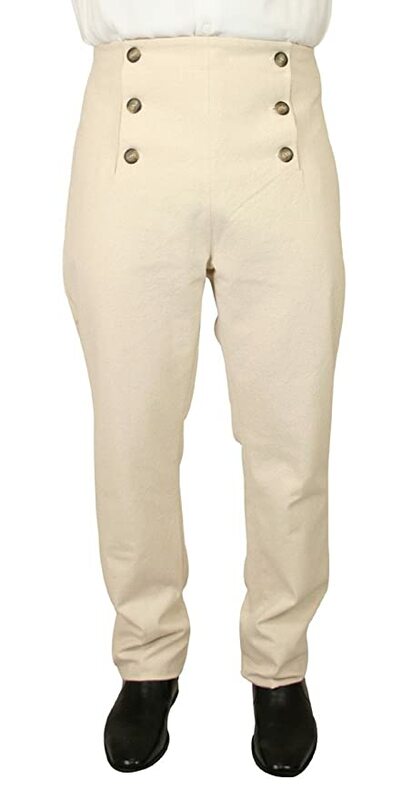 Whatever your look there is a pair of pants for your costume. 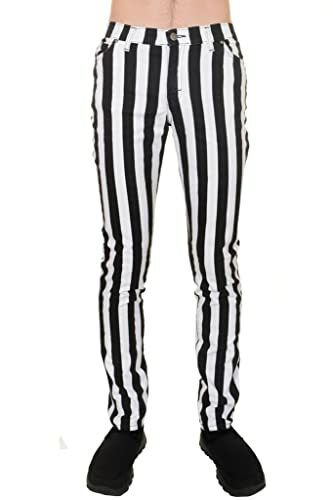 Get creative and make it your own or wear these as is. 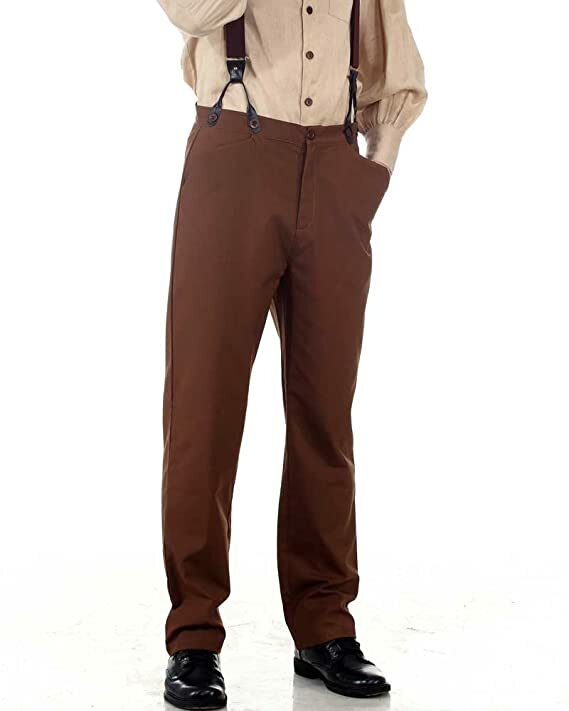 Find more Steampunk men’s clothes such as shirts, vests, shoes and accessories.